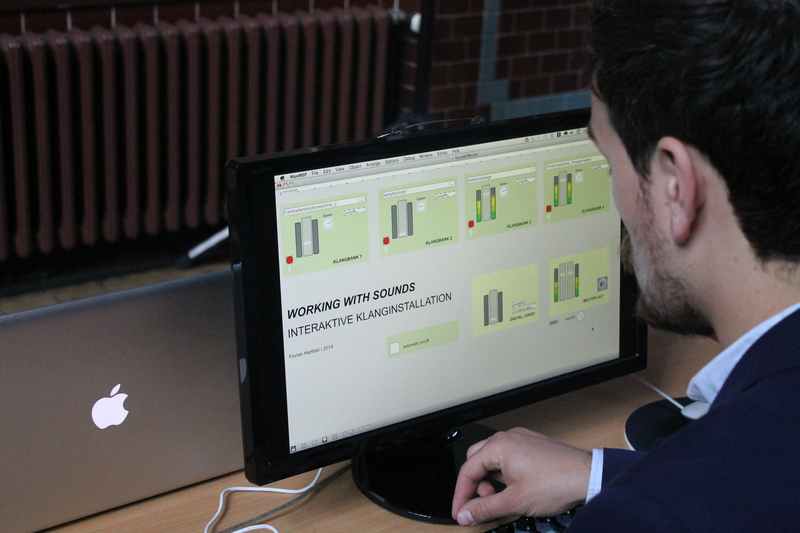 On August 21st, I will give an inside into the interactive soundstation I designed for the EU-Project Work with Sounds, during the corresponding conference at the Museum Zeche Zollern in Dortmund. The soundstation will be exposed that day and can be used by attendees of the conference. On Friday, july 24th, I will be guest of the radio show Prasse Pur on Radio Zusa. I will talk about several of my compositions and present some music. Feel free to tune in, via webstream on www.radio-zusa.de. The show starts at 6:00 pm. On Sunday, may 17th, will be the premiere of my sound installation Untertage during the International Museums Day 2015 at the Henrichshütte Hattingen. The installation is inspired by the text “Aus dem Bergmannsleben” by Karl Krampe and is built with sounds from the EU-Project Work with Sounds. Now on Soundcloud: a short excerpt of the music for U_Turn, a generative sound- and dance installation, I realized in cooperation with the Choreographer David N. Russo. The performance took place in the Munich Dome on the Aschermittwoch der Künstler. Here are impressions from the session with Conserve the Sound at the Hamburg Museum during the Long Night of the Museums Hamburg. A video of the performance will follow soon. Next Saturday (april, 18th) I will be in Hamburg for an audio-visual live performance with Daniel Chun (guitar) from Conserve the Sound. The performance will be in the Hamburg Museum during the long night of the Museums. There are three slots for the performance, at 19:30 / 21:15 / 23:00. On Ash Wednesday will be the premiere of U_Turn, a generative sound- and ballet-installation, which is a collaboration with the choreographer David N. Russo. The installation will take place in the Munich Dome. Here you can watch a teaser of the installation by the bavarian television. My multichannel installation Verzweigung will be presented at the Now! Festival in Essen. The installation is running on november 14th and 15th at the Folkwang University of the Arts. Here is a very fine review of the ballet-installation Im_Puls, I did in cooperation with choreographer David Russo and visual artist Georg Trenz. 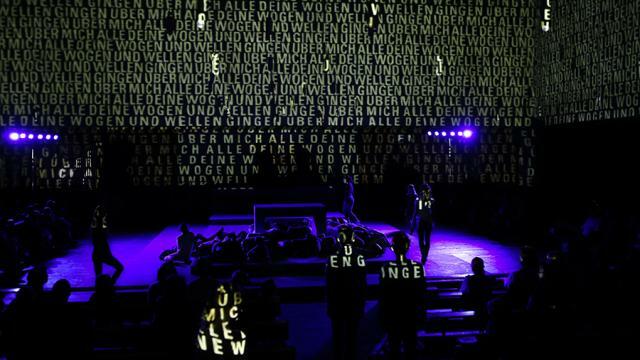 The premiere took place in munich on may 17th, the review is about a performance from july, 4th. Next Monday (02/06/14) Brothers in Arms will be performed at the Kaltstart Festival in Hamburg. Here is the trailer of the piece. More performances will follow later this year in Beijing and Tiflis. brothers in arms – Trailer from satellit produktion on Vimeo.